Since this is novel writing month, this bibliography is created for those writers of fiction who care about the quality of their work. There are two aspects to creative writing; the first of course being the writer’s ability to imagine a story that will capture the readers’ attention and provide them with an enjoyable trip filled with exciting characters, beautiful scenery, intriguing plots, captivating dialogue and an ending that will leave them wanting to read more. 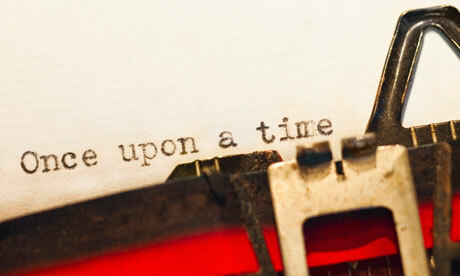 The other important aspect of writing is to know and understand the craft associated with writing acceptable fiction. A writer can accomplish the second aspect of the art by 1) taking expensive creative writing workshops, or 2) invest in books that have been written and will allow her/him to learn the craft through individual study. In order to assist those writers who care about the quality of their work as well as those readers who want to read with a discerning eye, I have compiled a list of books that will assist you in your endeavor. This bibliography is made available to you because Prosperity Publications believes that all writers should always seek constructive means to improve on their writing skills. Dwight Swain is known as the Guru on the craft of fiction writing. His book has long been the primary source of information on the craft. Mr. Swain has advised that, “No one can teach talent, but the practical skills of the professional writer’s craft can certainly be taught.” And that is exactly what he did over the years. Christopher Vogler provides the writer with a step-by-step guideline for structuring plots and creating realistic characters. Through the use of innovative exercises, he helps writers troubleshoot and improve their craft, and will help empower the writer’s command of storytelling with the ancient wisdom of myth. James Frey has written a hard-hitting, no-nonsense approach to the craft of storytelling. This is a practical, systematic, witty and wise approach to writing a novel. It is perfect for beginners or professional writers who need a crash course in the down-to-earth basics of storytelling. If you plan to write the panoramic novel much like those written by the great James Michener, then you must read Zuckerman’s instructional book on how to create larger then life characters, magnificent scenes, and compelling story plots. Best-selling author Ken Follett has referred to Zuckerman as, “the best editor in the world.” He has taken his editorial skills and made them available to all serious writers in the pages of this book. The best way to describe this work is in the words and writing of the author. Sol Stein writes, “This is not a book of theory. It is a book of usable solutions, how to fix writing that is flawed, how to improve writing that is good, how to create interesting writing in the first place.” Nothing more need be said. Stein is recognized as one of the very best editors in the business. Dr. Rhodes has written a comprehensive study of creative writing, but her examples are pulled from African American writers. Included in her comprehensive coverage of the craft are segments celebrating the beauty, strength and great attributes of the African American culture. Dr. Rhodes justifies her approach when she writes, “Never in four years of college or five years of graduate school was I assigned an exercise or given a story example that included a person of color. While the educational system and the publishing world have become progressively more welcoming of African-American authors, there is still little attention to educating, supporting and sustaining the writing process of African American authors. Her work is a successful attempt to eradicate that long-standing error. The first part of this work is a memoir on King’s evolution as a very successful writer. It reads much like a novel, taking the reader into his life as he grows to become the famous writer he now is. In the second part of the book, he shares with the reader what he knows about writing and that takes us into the craft. In the final section he explores ways on how the craft should actually be applied to the story. This work illustrates techniques used by professional novelists to include the fourteen elements of structure. The authors use excerpts from Henry Fielding’s, Tom Jones and Harper Lee’s, To Kill a Mockingbird. The authors help the writer develop his/her theme (one of the most difficult exercises for the beginning writer), refine the plot and develop complete characters. Book agent, editor and novelist Evan Marshall has developed a 16-step “Marshall Plan” for the beginning as well as seasoned writer. If you closely follow his plan, according to the author, “there is no chance of working yourself into a corner or making critical mistakes in pacing and plot. This is the work of twenty-nine of the best editors, coaches, and writers within the genre. Each writer concentrates on a specific element in the fiction-writing genre. The students get a little extra in this work as the writers also discuss how to negotiate a profitable contract once you have followed their basic steps and completed your work. As a creative writing instructor, I have found this work one of the most useful in developing my lectures and I often go back to it as a refresher. These authors concentrate on the technical questions and practices of fiction. In the introduction they state that, “It takes as much technical learning and skill to write a good novel as it does to play a violin concerto and no person is born with such skills.” The technique is learned from exceptionally good teachers and these two authors are in that category. This work is much different than others of the same subject. Instead of a description of the elements it is an analysis of why they are important. In his analysis, some of the fundamental questions he asks, 1) what do we mean when we say, “know” a fictional character? 2) What constitutes a telling detail? 3) When is a metaphor successful? 4) Is realism realistic? 5) Why do some literary conventions become dated while others stay fresh? This is the most useful book for writers because it is a checklist of red flags in writing that will cause your manuscript to be rejected by agents and editors. It is the most helpful 112 pages you will ever read as an aid to your writing. Keep it on your desk right next to your computer and refer to it often. Books that concentrate on specific elements of the craft. This is probably one of the most important books you will read in order to learn how to avoid the major flaw of most writers, and that is to show the action and not tell the story. Agents, editors and teachers will stress to writers that in today’s market your novel must be filled with action and conflict, and your reader must feel as though they are experiencing what is happening. The author must disappear and the story stand-alone. It is called the invisible hand of the author. Bickham does a great job in this book demonstrating how, through good structure that leads to scene-sequel-scene, the writer can escape the trap of telling the story instead of showing the action. Scene and structure are the primary and essential elements that writers must master in order to move to other important aspects of the craft. Kercheval has produced a useful book to help the beginning writer understand how structure is key to advancing the plot from scene to scene. Her work will help the writer understand the essential role conflict plays in plot. She discusses in detail, the essential elements of conflict to include 1) conflict, 2) crisis, 3) falling action, and 4) resolution. A writer must master the use of these component elements in order to write a successful novel. She also has a chapter comparing writing a novel to a short story, and further discusses the novella as an art form. How do you make your novel into a real and legitimate page-turner and not just part of the rhetoric that chosen friends place on Amazon when they call your work “a real page turner,” or “I couldn’t put it down until I read the last page.” In order to make those over-used words mean something, you must master the art of creating conflict, action, and to some degree suspense. In all novels conflict and action are essential, but suspense also can add to the intrigue of your story. This book is very useful in your quest toward achieving control of your reader through use of these particular tools of the trade. This book is comparable to Bickham’s mentioned above in importance to understanding scene construction in a novel. The author navigates the student through the basic fundamentals needed for strong scene construction, and also explains how other elements of the craft fit within the framework of individual scenes in order to provide structure to the novel. Like Bickham’s work, this also is a must read. The key to any successful novel are the characters you create to capture the imagination of your reader. Long after the basic plot, readers will remember interesting characters. The reader must love them, hate them, laugh and cry with them, but most important find them interesting enough to keep reading your story. The teacher Dwight Swain provides you with the ingredients necessary to create those characters, from the protagonist to the antagonist and all in between. It is essential that you master the art of building characters that are rounded and not flat, dynamic and not stereotype. Swain does that for you in this book. Some writers have created characters that have become immortal. Richard Wright’s Bigger Thomas in Native Son, Langston Hughes’ Simple, Toni Morrison’s Sethe in Beloved, and Scout Finch from To Kill a Mockingbird. These well-crafted characters pass from one generation to the next and represent the prototype for other writers to follow when creating their main characters. McCutcheon’s book will assist you in also creating such immortal individuals. His work is very unique because it begins with a roundtable discussion of six novelists revealing their approaches to characterization. He also provides you with a questionnaire and once you complete it, you will know your fictional characters quite well. Finally, he provides you with a thesaurus depicting specific human characteristics that you can choose from to fit your characters. He provides you with everything you need to create people with great depth, and the potential for immortality. This is really good info. After reading I checked out your website, especially the calendar. Was wondering if you’re planning any writing workshops for next year? If so, I’d like to put them on my calendar as soon as possible. Thanks. I like this website very much, Its a very nice place to read and obtain information. Nothing can be pleasing which is not also becoming. by Quintilian.